Well, folks--it's crunch time. With about 20 days to go, Family Vacation needs your help. 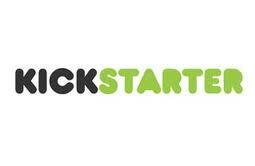 We currently have over 50 backers, but we need quite a few more. This game is turning out to be a bit of a hard sell for the alphagamers on Kickstarter and BoardGameGeek. Some of them don't even have kids! Also, many people will not jump in until they know it will be successful. 1. Pledge - $30 is a very reasonable price for one night of family fun (or casual fun with friends), let alone the many nights you will enjoy this game. This game would also make a great birthday or Christmas gift. Get your shopping done early! The sooner you join us, the sooner others will follow. 2. Share - There are probably many people among your acquaintances who would enjoy this game. The problem is, they will never hear about it! You can change that. Post a link to the KS page on your Facebook and Twitter accounts, as well as other social media sites. 3. Thumb - We can't overemphasize the impact of BoardGameGeek. It's the premier board game website. I need you to visit the Family Vacation page and give a thumbs up to as many items as possible--especially images. 4. Promote - Do you have a blog? Consider adding a small widget or link to your site. (Click the "< > Embed" button right under the project video on KS.) Mention us in a news post. Have some favorite blogs? Ask them to mention us, too. We may need to enlist some mom and homeschool blogs to get to the finish line. Your help is crucial to our success. 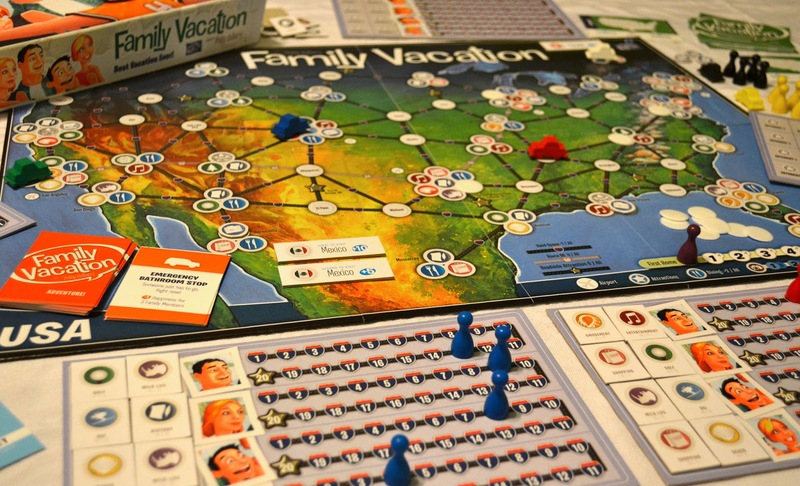 Family Vacation isn't just some throwaway filler, it's a special game that truly is a joy to play. Thanks in advance for anything you can do to help make this game a reality. And a special thanks to all those who've already backed us. Wish us good luck! It's finally launched! 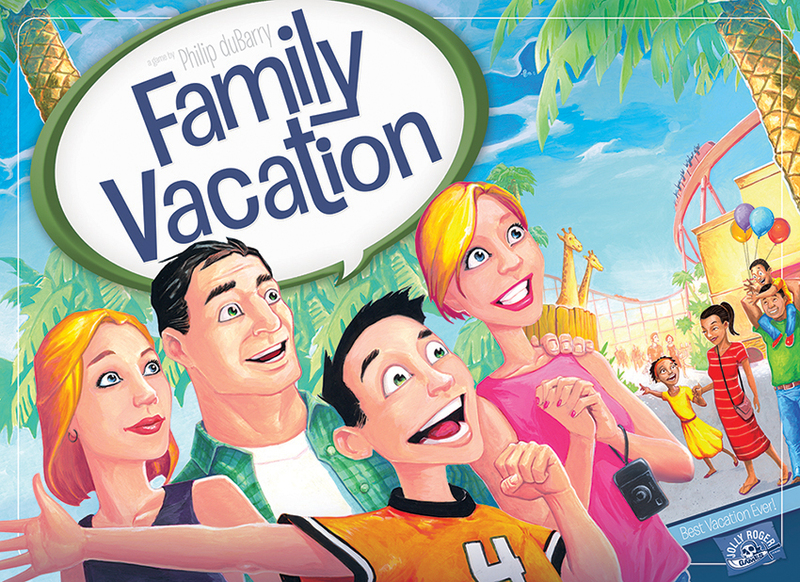 The Family Vacation Kickstarter is now underway! Please help us spread the word. Thanks! 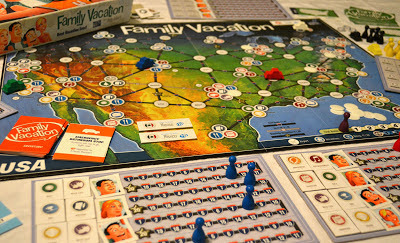 Just a quick note: Our Family Vacation kickstarter campaign will begin sometime tonight! Stay tuned for more info. 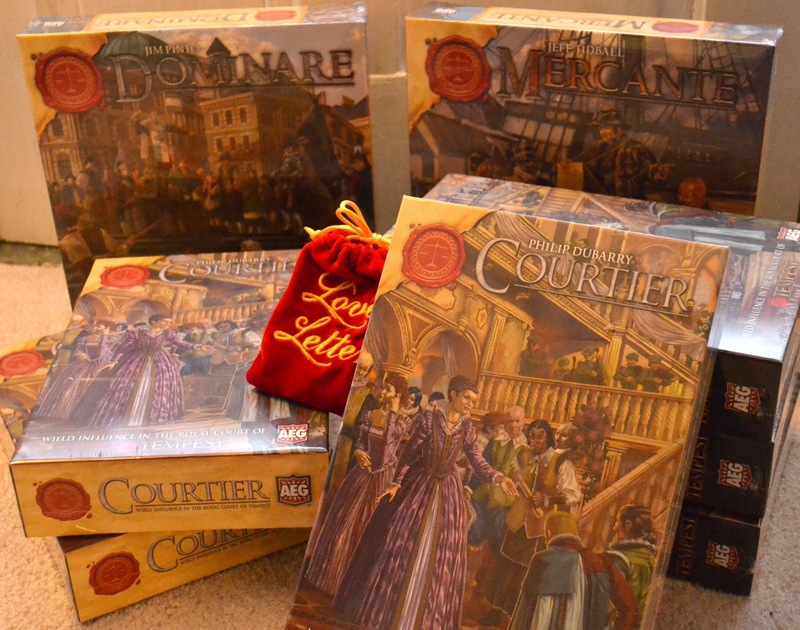 Yesterday, I finally received my Tempest games from AEG, including six copies of Courtier. In honor of this joyous occasion, I offer you this short pronunciation guide. So how does one pronounce the name of my new game? I've heard several variations, some more humorous than others. By the way, this can also stand in as a sort of psychological evaluation. Enjoy. This first pronunciation comes up rather frequently. I imagine the people favoring this version have had some experience with foreign languages (maybe an excessive amount of French in high school or early exposure to Latin, etc.). Something about this version gives the vague sense of someone trying too hard, in the tradition of the classic overachiever. It might also indicate a flare of snobbishness for good measure (sounds a lot like Cartier, right?). Closely related to number one, this pronunciation is the verbal equivalent to extending one's pinky finger whilst drinking tea. It is also favored by people who are pretending to belong to the first group, but clearly do not. I imagine one must bow and gesture graciously with the hands while using this pronunciation. This variation belongs to the elegant scoundrel type. 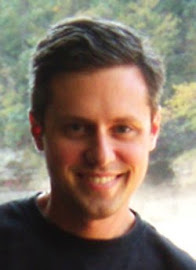 If you hear someone inviting your wife or daughter to play a game of "cour - tee - AIR", get them away from this handsomely-roguish (but unscrupulous) person post haste. This pronunciation cannot help but induce stifled laughter in those who hear it. If "COUR - tee -ay" is all high-brow pretension, "cour - TEER" is undiluted comedy (intended or otherwise). Normally, one would be tempted to question such a person's level of intelligence. However, in the case of Ryan Metzler, I am quite assured of his deliberate use of this variation for the purpose of irony. Well played. Finally, we examine the most humble, yet tasteful, version of the word. Those who employ this pronunciation exude common sense and tact. Their levelheadedness and tireless devotion to upright culture marks them as the guiding lights of civilized society. Also, they happen to be correct, according to Merriam-Webster. So there you have it. How do you pronounce Courtier?